Sensors can be fitted to look just like factory fitted systems, completely flat with bumper. Or fitted with a discrete collar for the easy fit method. 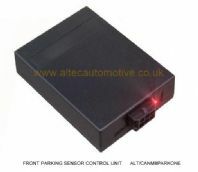 Fit "rear" parking sensors to the FRONT of the vehicle using this clever box of tricks! 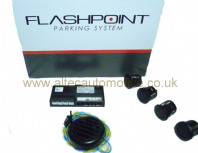 The CANM8-PARK*ONE interface provides a cost effective, intelligent solution for the control of Front Parking Sensors from the vehicle CAN Bus. 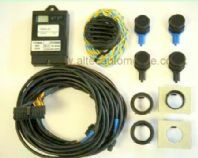 A 12v controlled output is generated by the interface and switched off while the vehicle speed is above approximately 6 MPH.